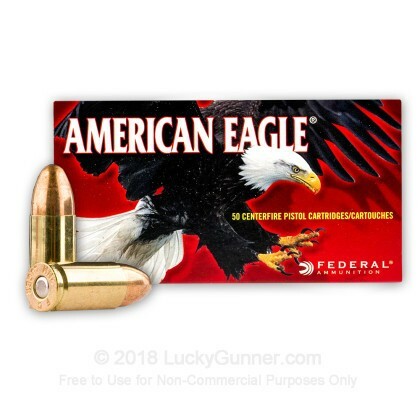 The American Eagle ammo is a good choice for staying sharp with your 9mm pistol without over spending on ammo. I've used it before and I'll surely buy it again in the future. This ammo has been consistently good. It's not the cheapest, but the price-point is appropriate for the quality. As a pistol instructor, I probably have a total of 6000-8000 rounds through 3 different Glocks (a 19, a 17, and a 26) with the only issue being failure-to-eject in the hands of a novice shooter...never when I shoot. I've shot other brands sold on LG, just to see if there's any difference. Most of the 115 grain brass ammo works fine, but the American Eagle (and PMC) seem to work the best for me and my guns. I require reliability when teaching and for my CC, so this is my current brand choice for both range (FMJ) and carry (JHP). Great product. Never had one not fire. Fast shipping. Price cheaper than anywhere around me. 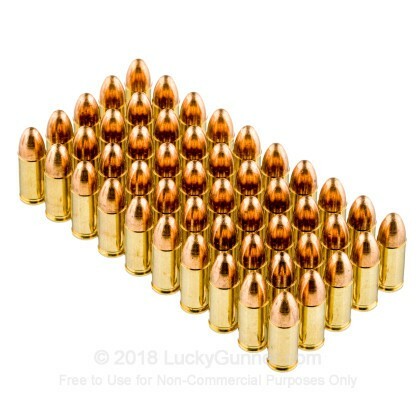 I ordered 1,000 rounds of 9mm 115 gr. American Eagle ammo and had no problem with the entire lot. I will be ordering more in the future. Great ammo! Accurate on the target. Tested other ammo through my Springfield, but It seems to love American Eagle the best! Fast shipping! Will order again if the price is right and in stock. This was the first order I have placed with LuckyGunner and I will be using them for future purchase's. I bought 2 box's and these were the first 100 rounds I put through my new Ruger SR9C. Not a problem with the ammo or gun. My groupings on target were great and I will only get better and quicker with time. Purchased 200 rds of Federal American Eagle 9mm FMJ for initial break-in of my Walther PPQ M2. No failures of ammo or weapon with this ammo. Very consistent performance. This stuff is pretty clean. After the 200 rounds, the amount of crud in the barrel, etc. was quite acceptable. I will continue to order and use this ammo as my go-to for practice and IDPA newbie competition. LuckyGunner is a superb place to do business. No issues at all- Will order again. Just shot 100 rds of this and 100 rds of Speer 115gr this afternoon. Flawless. No issues at all. I used a Taurus PT809, if that helps any. Ordered on a Sunday evening, arrived Wed mid afternoon. Will definitely order again from here. fired about 250 rounds flawlessly for break in of new gun. will be buying more of this brand, and only using Lucky Gunner. The live inventory feature is GREAT!!! Very good purchase, real good ammo, excellent delivery. Very good purchase for price. Excellent delivery. More than satisfied. I needed good grade ammo in a hurry at a reasonable price. Lucky Gunner came through as usual. I selected Federal American Eagle 9mm - 115 gr FMJ. Purchased 100 rounds to start. Flawless cycling and great performance. Will probably purchase a thousand rounds on my next order. Great product and service. Fast shipping. I got exactly what I wanted for a price I wanted to pay. Can't beat it. Thanks for the friendly on-line help as well! great ammo for practice. home defence rounds gave a surprising permormance as well. went 500 rounds without any issues! This ammo shoots straight and clean - great for the range. The customer service at LG is simply amazing. The real time availability and lightening fast shipping is often worth the premium that is charged. I recently purchased this ammo. Shot 250+ rounds through my S&W M&P 9....Shoots straight. No misfires. No Jams..And, the ordering and delivery went extremely smooth and quick! Excellent price and top-notch ammo! 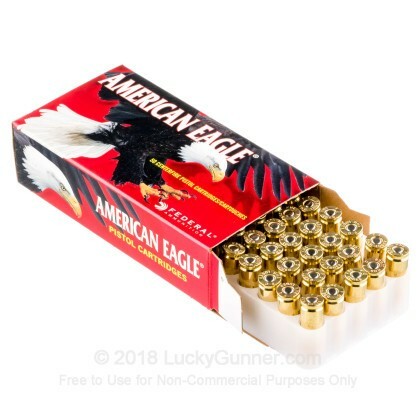 After trying a lot of different brands of ammo for qualification and competition shooting, I've found American Eagle to be the best choice available. Each round is consistant, clean and dependable. I've yet to experience a dud round in all the years I've shot this ammo through my duty and competition Glock pistols. If you like to shoot bullseye "rat-holes" when it counts, then use American Eagle. You can't go wrong! Good ammo at a decent price. As usual, LuckyGunner makes the ammo buying process simple and easy. I make all my internet ammo purchases at LuckyGunner. Been using this ammo for a long time. One of the best. This was my 1st purchase with Lucky Gunner and was very pleased with the fast service. I use this ammo at the range all the time and never have any problems with it. Great buy! Excellent ammunition running through my PPQ. I have had no FTFs or FTEs with any American Eagle ammo. It is great stuff. This was my first purchase from Lucky Gunner and won't be my last. Great products and a great company to work with. This was my first purchase, I was unsure of the brand, but after using these rounds I am sold. These are the rounds I will be using from now on. In general there is a good selection on LuckuGunner, i picked this one after reading reviews on several forums. I got the 1000 rounds box. shipping was fast and package was as described. I shoot a S&W M&P9 and shot 700 rounds so far without even one problems. Great ammo, great price, great deal, what more could you ask for? I will definitely be buying more. First purchase ; SERVICE OUTSTANDING, Good quality product and excellent pricing.. Saved more by not paying sales tax than the minimal shipping cost!! 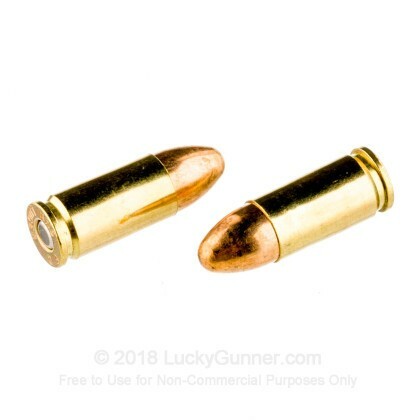 Great price on this 9mm ammo and fast delivery from Lucky Gunner. My CZ-75 can be a little fussy regarding the ammo I use, but eats this stuff up without a problem. I will not hesitate to order more. I started target shooting about 6 months ago. This has included different brands of ammo AND the weight in grams. Lawman is awesome & I can't see a difference between 115 gr. and 124 gr. When I fire Lawman 115 gr., 1200 fps, believe me it gets attention. Plus never a probem. This is the 3rd time I have purchase this ammo without any problems at all, great company great buy. Great ammo, no jams, no problems. Very good service and product. Good to see stock availability. They indicate what they have in stock which is much appreciated . Good selection and great prices . 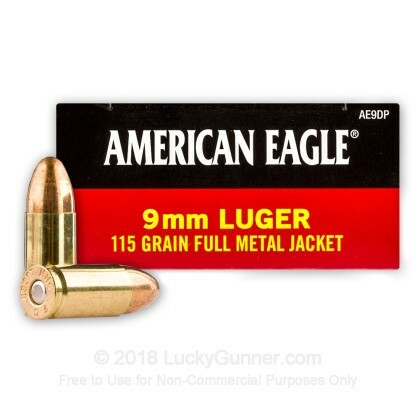 I have literally shot tens of thousands of rounds of this 9mm ammo from American Eagle and never had a single problem - ever. 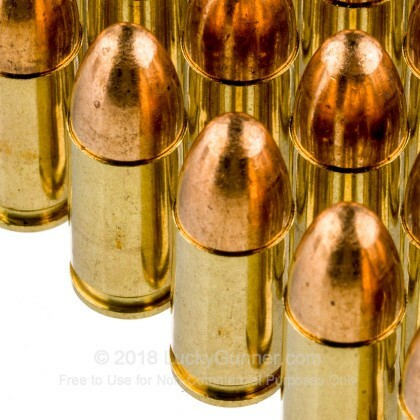 If this ammo jams in your gun - buy a new gun! We also have this 9mm - 115 Grain FMJ - Federal American Eagle - 1000 Rounds ammo in stock in a bigger quantity.